We have many exciting events coming up in the Month of May! To sign up for Unlimited May classes, please email ecelancaster@hotmail.com or ececentral@hotmail.com. The Month of May schedule is available under our "Forms" section. If you have questions as to which classes are appropriate, one of our coaches will gladly review and advise. We will be waiving our annual registration fee of $35 for May classes. We are offering two FREE tumbling clinics to give athletes the opportunity to meet and work with some of the best instructors around! These FREE clinics will be held from 6:00-8:00 pm on Wednesday, May 8th and Thursday, May 9th. No pre-registration is required. We ask that athletes choose only one day to attend a clinic. All athletes will be required to have a parent/guardian sign our standard release form. Athletes and parents are invited to attend our OPEN HOUSE on Thursday, May 16th. There will be a free open gym for athletes from 6:00-7:00 pm and, from 6:30-7:00, we will hold a parent Q&A with gym management. This is a great time to check out the gym, meet coaches and other athletes, and have your questions about all-star cheer answered. Team Placements (try-outs) will be held on Wednesday, May 22nd and Thursday, May 23rd. Athletes only need to attend one day! The Try-out Registration Form can be printed from our "Forms" section. You are able to pre-register by emailing, mailing or dropping off your form at the front desk. Registering in advance means you do not have to wait as long on tryout day, as athletes are evaluated in the order they are registered. The tryout fee is $55 and covers athlete registration for the year. Pre-register by May 12th and receive discounted registration of $45. Every cheerleader is placed on a team! Team placement is based on age and skill level according to the USASF guidelines levels 1-6. Cheerleaders will be notified of team placement within 5 days of try-outs or may receive an invitation to return for elite skill review. You do NOT need gymnastics skills to be placed on a team and no one is required to perform any skills in front of anyone alone, as evaluations are held in small groups. Try-outs are an assessment of current skill levels. All cheerleaders have an opportunity to advance teams during the season if their skill level improves throughout the year. Athletes interested in the Summer Fundamentals program or the Tiny Novice/Prep program (ages 3-6) do not need to attend team placements, only complete a registration form and make payment. For more information on our Fundamentals program, please click on the "What We Offer" link in the left-hand column. On Thursday, May 30th, we will hold a registration night for all athletes/parents. Exact meeting times will be included in team placement emails. We also offer group tumbling rates for AYF, Pop Warner and High School groups. Please contact us for more information at ececentral@hotmail.com. For a guide to tumbling levels, please click on the "What We Offer" link and see the section titled "Tumbling Classes". The motto of Central Sports is "Fitness Meets Fun". Our goal is to provide active children with a safe environment to expend their energy and have fun while staying fit. Central Sports is located within ECE Central and offers NINJA TRAINING CLASSES as well as exciting options for birthday parties, including NERF BATTLE PARTIES. Central Sports provides children with a unique option for a fun party with friends. We have various party options available for up to 25 kids. Parties start at $200 and include an hour in the gym and 30 minutes for food/cake and presents. NERF BATTLES (ages 6 & up)- An awesome opportunity to battle all of your friends using our stockpile of Mega Guns!!! OBSTACLE CHALLENGE (ages 4 & up)- Have you ever wanted to challenge your friends Ninja Warrior style? Here’s your chance! COMBO PARTIES (ages 6 & up)- You get the best of both worlds with a Nerf Battle followed by some obstacle course fun. FUN & GAMES (ages 4 & up)- A party full of good ol' fashioned fun (and bouncing on equipment and running around and tumbling). Details can be found by clicking on the "Special Events" link in the left column. Parties can be booked on most Sundays and Friday evenings. Other days may be available upon request. Book your party today by emailing us at ececentral@hotmail.com. Central Sports provides structured classes inspired by Ninja Warrior. Little Ninjas, for children in grades K-3, is a skill-based class that combines military style obstacle courses, cross-training and tumbling instruction. Classes will aim to help your active child to develop strength, balance, and coordination. Ninja Training classes consist of rock wall climbing, a ninja slack line, an agility ladder, climbing rope and fun obstacles. Register now by emailing us at ececentral@hotmail.com. Sessions are 4 weeks each and tuition is $50 per session. All athletes must be registered with ECE Central. Registration is $25 annually for classes and is good from June 1st-May 31st each year. Many of our instructors are available for private and semi-private lessons throughout the week. In order to receive the lower rate for group lessons, you are responsible for filling the group. To book a private lesson, please email ececentralprivates@hotmail.com so that we can match you with an instructor and a time that work for you! All private lesson athletes are required to fill out a registration form (which can be found under the "Forms" section of our website) before participating in any activity in the gym. Registration fee of $25 and release forms are good for one season (June 1st-May 31st). 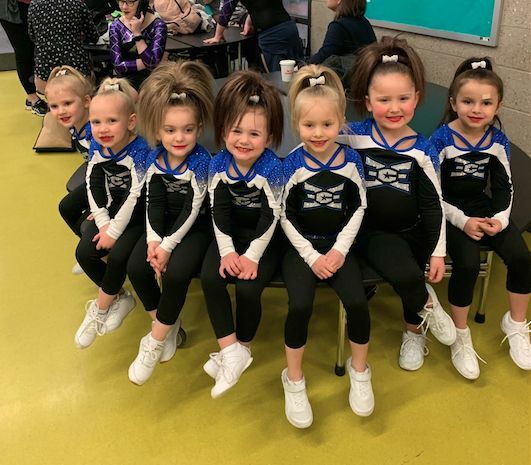 ECE Central is a family-owned and operated cheerleading and tumbling school. We offer classes and competitive teams for boys and girls of all ages and skill levels. Too often, parents are forced to choose between enrolling their child in a cheer program that has high family values and teaches good character OR placing their child in a national caliber gym with excellent technical training and elite level choreography. You CAN have BOTH! ECE Central offers traditional values, positive role models, a family atmosphere, AND national recognition, incredible training and innovative choreography. We know that family is the cornerstone of every child’s character! Strong families make our athletes and our program better! 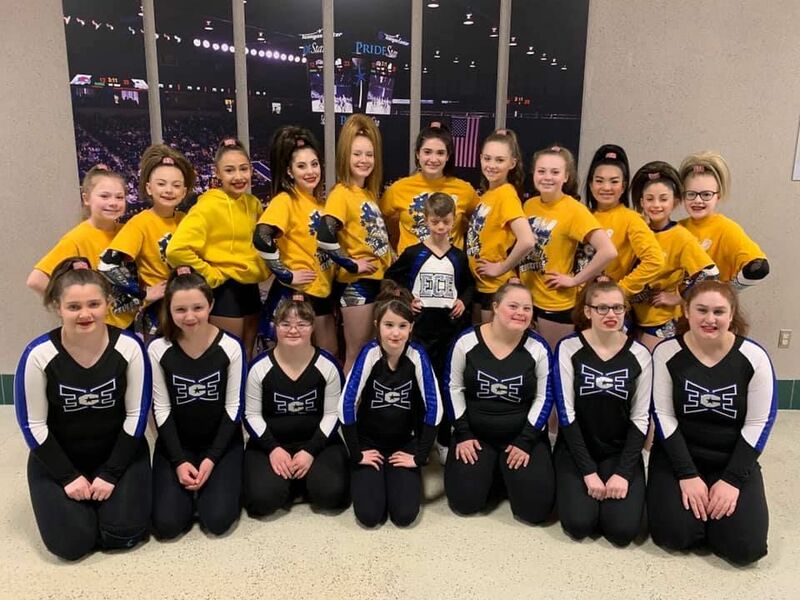 Family has always been at the center of our cheer philosophy: from the development of our program by three sisters, to our belief that each student is an extension of our “family”, and, most recently, becoming a member of the ECE group. We are passionate about sharing our love of the sport of cheerleading and we endeavor to provide a safe and fun experience to each of our students. Our goal is to help each student develop their full potential as an athlete while teaching them the importance of teamwork, commitment, and friendship. Our success is not only measured by the number of banners and trophies on the wall, but by what each athlete takes from their experience here. ECE does not just stand for East Celebrity Elite. It also stands for Empowerment, Character and Equality…values we strive to instill in every athlete who steps on our mat.